The painting of Sendall Tunnel was held from 14-17 September 2017. Sendall Tunnel was officially opened in 1894. It is 340 feet long and is located in the heart of the Town of St George. Sir Walter J Sendall and his wife, Lady Sendall saw the plight of the porters and horse drawn carriages that had to travel up and down Young Street — which in those days was not paved — hence when it was wet or raining, it was extremely difficult for both men and horse-drawn carriages to travel. Sendall was instrumental in solving that problem by getting that tunnel built. This tunnel links Bruce Street with the renowned Carenage. 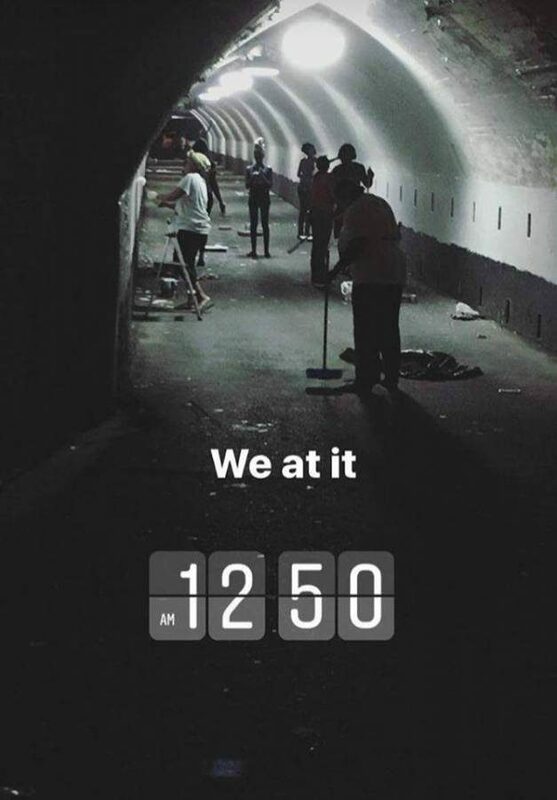 The maintenance of the Sendall Tunnel officially started in April 2005 under the then Presidency of Leo Wendy Stephen-La Barrie, who is now a Lion and currently serves as our Leo Advisor. The project started as a Beautification Project while Grenada was preparing for Cricket World Cup. Sendall Tunnel is one of Grenada’s tourist attractions and a historical landmark. In order to keep Grenada’s history alive, the Leos embarked on this much-needed project. This year the activities began with the washing down of the wall of the tunnel by the Fire Department of the Royal Grenada Police Force (RGPF) who supplied over 10 tons of water for cleaning purposes. The membership came out in their numbers for this activity. Four members from our parent club were also present. We had the support of 3 prospective members and another 2 supporters from Deaf Voices, in which 2 of our Leos are a part of. The paint was sponsored by Matthew Harris of Captain Harris Suites. We would like to extend a heartfelt thank-you to ASP Linford Kingston, Officer In-Charge of Traffic Department, and ASP Glenroy Corion, Officer In-Charge of Fire Department. Several persons were involved including members of the Leo Club of St George’s, members of Deaf Voices, Carlene Sandy-Lewis, President St George’s Lions Club, volunteers and Nahshon Jeremiah Arts. 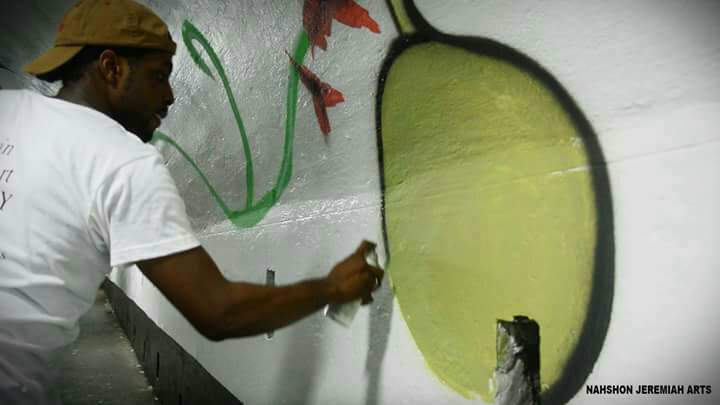 The experience we encountered while painting the tunnel was an unforgettable, exciting and constructive one which we would look forward to each year. We express tremendous gratitude to our main sponsors Grenada Tourism Authority, M&sN Hardware, Maurice Bishop English Institute, Matthew Harris of Captain Harris Suite, J&J Printers and of course all the members of the Leo Club of St George’s. We apologise to the members of the general public who were inconvenienced while we were undertaking our tunnel maintenance project. We appreciate your patience.